Vuzix is continuing to try and fine tune their video glasses into something we would actually be interested in buying. This time around, the emphasis seems to be on creating a more natural look. Indeed, not looking like Geordi is a good thing, but the Wrap 310 also features true 16x9 widescreen, twin high resolution displays, noise isolating earphones and compatibility with almost any video player—including the iPod and iPhone. Along those lines, Vuzix notes that the Wrap 310 is also upgradeable with an expansion port that can be used to accommodate changes in player design. Pricing and release information have not been announced. almost any video player, including the iPod and iPhone. 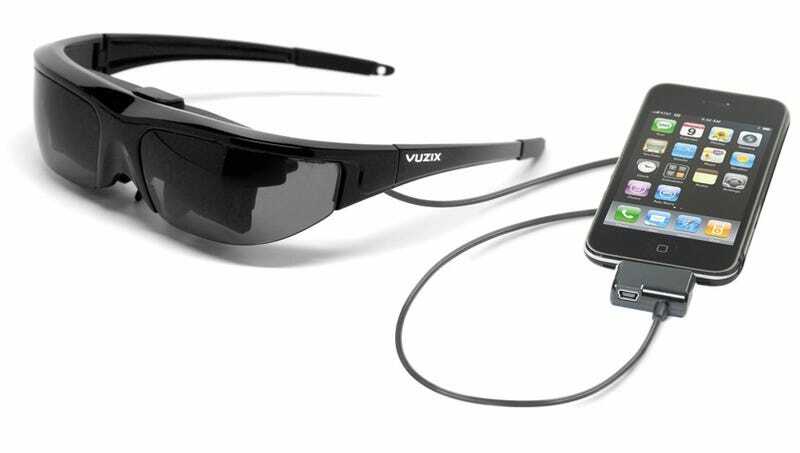 adapters, Vuzix has plans for exciting accessories designed to keep the Wrap 310 on the cutting edge. Please see a complete list of compatible devices below. the option to select various lens colors to personalize their Wrap 310.